printed napkins whatever your event. 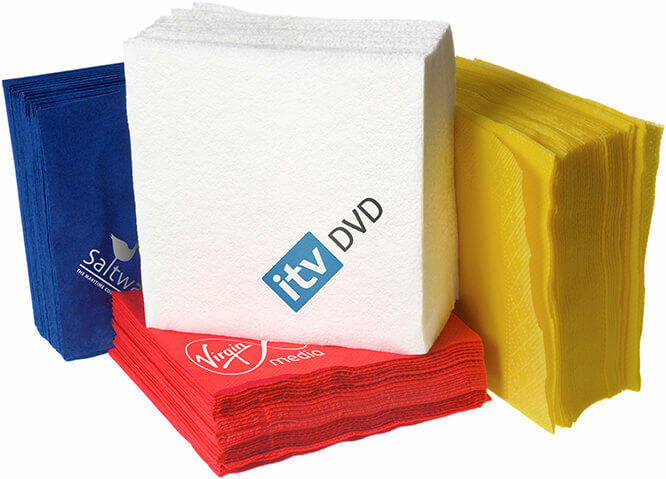 Corporate identity printed napkins are sure to impress your clients and customers. As a marketing tool printed napkins have success written all over them! Celebrating special days in style is part of our culture. So why not design your own napkins because it’s the personal details that make the difference. If you have an enquiry then please get in touch. We promise to respond promptly giving you helpful advice whatever your napkin needs. Printed napkins are the perfect addition to many events and occasions. Often used as a marketing tool, napkins printed with your logo or business promotion are a great way to increase brand awareness and add prestige to your event. Just-So Napkins can add a lovely personal touch to your wedding day, birthday party or private celebration such as a graduation ceremony. We can print napkins for all occasions, Just get in touch!